At Miles Kimball, we carry the selection of carefully chosen nostalgic/vintage holiday décor pieces you need to recreate favorite Christmas memories. 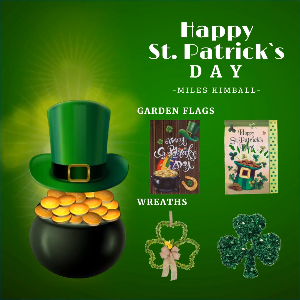 Whether it’s the sentimental ceramic Christmas tree with a hand painted green glaze, colorful twinkling lights, and shining star on top that we all remember or a traditional set of Russian nesting dolls that date all the way back to 1890, you’ll find everything you need to pay homage to days of yesteryear at Miles Kimball. From hard-to-find items like the spectacular bubble light centerpiece that makes a striking statement on any table to personalized retro glitter reflector ornaments that look exactly like treasured heirlooms passed down through generations, we carry the selection you need to spread joy and put everyone in a festive mood all at prices you’ll love. Check out our extensive selection of holiday ornaments bursting with old-world charm and get everyone in on the holiday decorating fun with a Christmas tree-trimming party. We even have everything you need to entertain with vintage flair including durable winter-themed table covers, beaded table runners. Make sure to top off your table covers and table runners with our nostalgic ceramic Christmas tree for glowing decor. Are you shopping for someone that has everything? No problem! At Miles Kimball, we have something for every taste. No matter whom you’re shopping for, whether it’s your brother, mother, friend, or child, give them an unexpected gift of holiday décor and watch their faces light up as they remember holiday traditions or perhaps start their own. Put your personal touch on celebrating this special occasion and make Miles Kimball your first choice for holiday décor with a nostalgic/vintage flair that welcomes every guest in style.